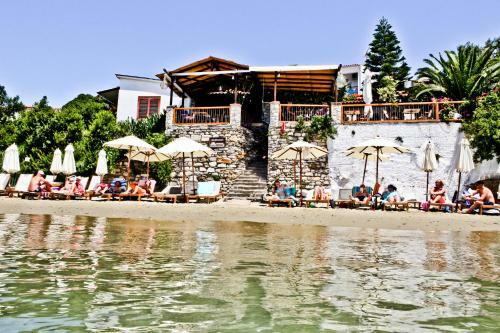 Megali Ammos House is located in Megali Ammos, Skiathos. Megali Ammos House offers to its guests restaurant, bar, restaurant (a la carte)	and garden. The property provides accommodation in studio and other might be available upon request. Room amenities include a/c, tv, satellite channels, fridge, etc. Each unit has own bathroom. The kitchen is equipped with fridge.